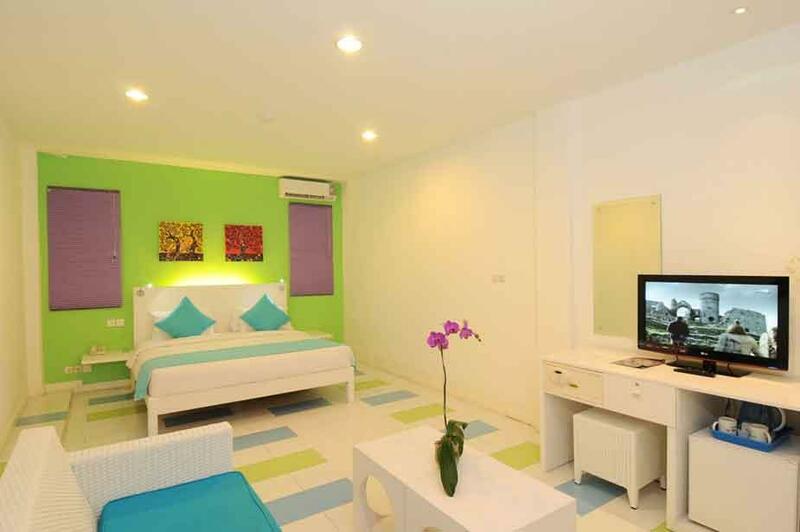 ﻿ Home @36 Condotel, Bali - SAVE ON AGODA! "Positive: Comfortable, spacious room, good bed and pillows." Have a question for Home @36 Condotel? "I chose this hotel because it is in a great location." "its a nice place with a private beach inside." "From friendly staffs ( front desk to everyone) to their warm wishes everyday, it was a pleasant stay!" "One of the best hotel in Bali!" 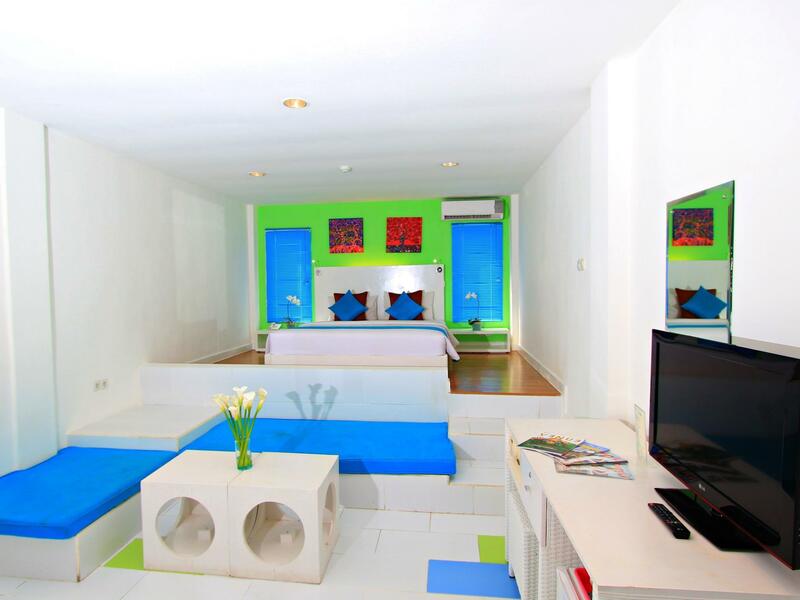 Finalize your Bali vacation plans and stay at the Home @36 Condotel. The rooms here overlook the city, so you can gaze out at the glistening city lights. This property is near Discovery Shopping Mall, Waterbom Park, Bali Dreams Tours-Day Tours, Kartika Plaza Street, and Kuta Art Market. It has various convenient features, such as shops, safety deposit boxes, a smoking area, as well as a salon. Equipped with family rooms, it offers adequate space for your whole family to be together. Offering guided tours, the Home @36 Condotel is a great spot to stay to learn about your surroundings and see everything you can while you're here. There are massage facilities here, so if you want to spend the day simply relaxing and unwinding, you can treat yourself like royalty. The Home @36 Condotel has a selection of facilities for you to make use of throughout your stay, including a hot tub, a spa, and an outdoor swimming pool. The property features a bar, a coffee shop, restaurants on-site, BBQ facilities, and a poolside bar, so there is a range of dining and snacking choices. There's free Wi-Fi in all rooms, as well as Wi-Fi in common areas, so guests won't have to worry about buying a local sim card. 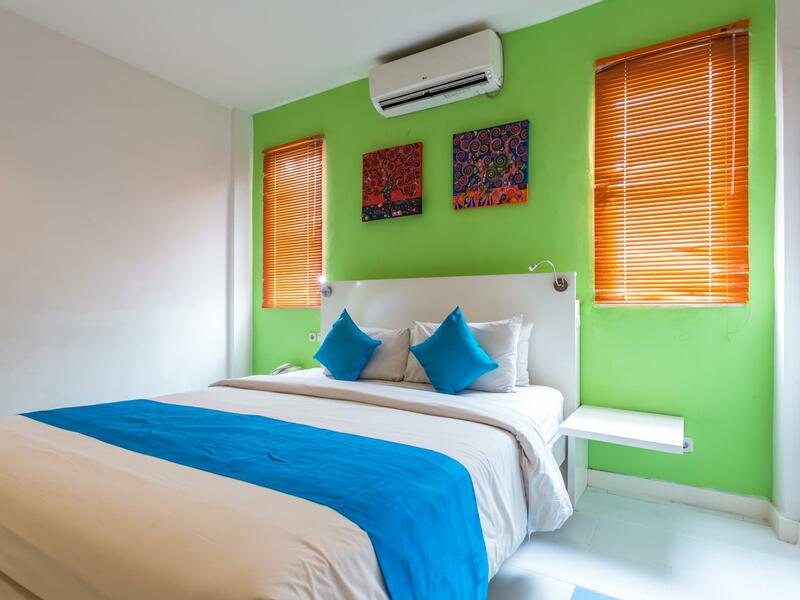 With laundry services, a concierge, luggage storage, daily housekeeping, and dry cleaning services, the Home @36 Condotel has numerous convenient and useful services to ensure that you get the most out of your time in Bali. The front desk is open at all hours, so there will always be a member of staff on call to answer any questions that you have. With pet-friendly facilities, the Home @36 Condotel is perfect for guests who can't bear to be away from their pets. 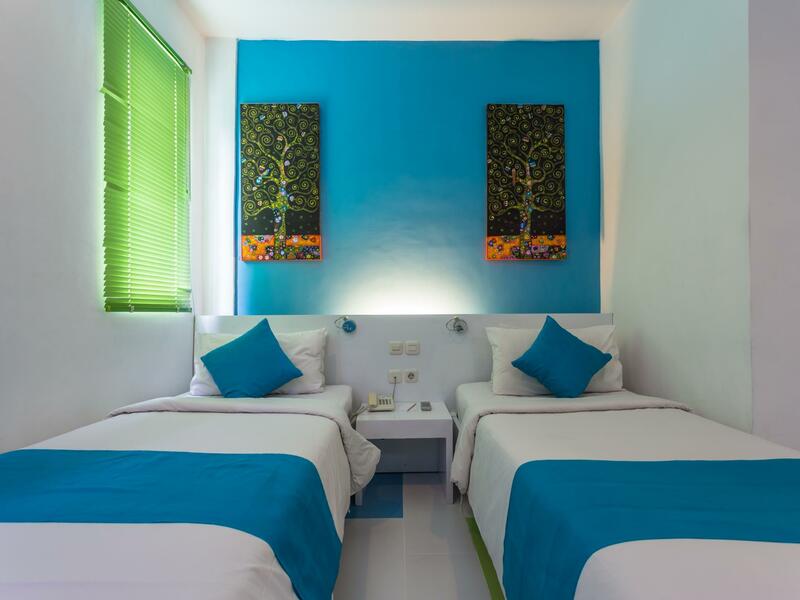 The Home @36 Condotel provides a range of transportation options, such as airport transfers, shuttle services, bicycle rentals, and car rentals. Tegal Sari Bus Terminal is 8.5 km away and Bemo Gunung Agung Bus Terminal is 9.2 km away. The nearest airports are Ngurah Rai International Airport (DPS) and Lombok International Airport (LOP), which are situated 2.4 km and 120.2 km away. Check-in is offered from 02:00 PM and check-out is until 12:00 PM. "Strategic place, friendly staff and helpful, safe, all great..."
Staffs were friendly and helpful. Check in and check out was brief. It’s located in Discovery Shopping Mall and not accessable through the mall from 10pm to 10am. You need to walk into the mall parking lot or the beach to get to the hotel. What I like the most was the fact that it’s facing a beautiful, less crowded beach that you can access to at any time. Breakfast was simple but delicious and according to the staff, it’s a halal breakfast buffet. The lobby was nice. The room was quite big and could use a bit of maintenance, so did the bathroom. No problem with aircond and hot water though. I requested a room with queen bed but was given a room with double bed placed together. You can easily get taxi, go-jek or grab in front of the mall. We were travelling with 9 months old baby. We arrived in bali midnight around 1 am. This hotel in inside of a shopping centre named Discovery Shopping Centre, pass the car park to get thru the hotel. Solaria n Ta Wan restaurant is next to the Lobby. Cleanliness was not really good, when I was about to use the cup, it was not been washed, coffee mark around the cup. Rubbish bin still got some food. Service was excellent to customer. We got a room which was very far from the lift, cos we got baby so we could get another room close to it. We stayed 5 nights. Positive: Comfortable, spacious room, good bed and pillows. Central location with direct access to Discovery Mall and waterfront bars and restaurants. Great shops, restaurants and Waterbomb Park in close proximity. Negative: Difficult to access outside of opening hours of Discovery Mall. Large complex with only one stairwell and lift at one end of the complex. Dirty showerscreen. Need to walk a long distance to get to the entrance, and then again had to walk a long way to get to the room. They did not have the lift on the building where they gave us the room. The bathroom's water drainage was poor. But it's cheap and the rest of the facilities are okay. The swimming pool is not as that shown in the picture. One can go to the beach from the back, needs to walk a few minutes. Good Hotel & excellent location. This will be my 2nd time here. Location is great. attached with the mall.. easy to find food. got lotsa halal fast food in the mall.. they also serving a halal breakfast. the variety of food is great. food is tasty. else, i would like to emphasis on the superior room size. its super huge. i love it. morning breakfast with a sea view is just magnificient. can walk 2 minutes along side the beach walk to the kuta beach.. near to hard rock cafe.. They have nice two pools by the beach, direct access to the beach and shopping mall! I would stay in this hotel again if I ever come to Kuta on my own. Ideal for family and children too! Very helpful staff. The bathroom rather needs more cleanings. Good~ Breakfast was awesome, rooms are big, cleans everyday, get new towels everyday. Beach side. Bad~ The extra bed made a lot of noise and one leg as broken. A foul smell coming from the drain when using shower, water pressure is quiet low. From 10pm to 10am have to use the entry through the carpark which is a long walk. Overall Good, will stay again. Located on the beach in the shopping mall. You can easily find everything what you need. Foods, massage, cafe, shopping mall are just in front of your hotel. Nice swimming pool on the beach, good foods for breakfast. From friendly staffs ( front desk to everyone) to their warm wishes everyday, it was a pleasant stay! I even extended my stay couple of days! Good for a small hotel in te best location. Thumbs up for many staffs but I do only remember Tirta..
Great room and pool, staff were great, location was great. Only cons were, for such a big hotel it only has one small lift which is a long way away from the superior rooms and at night you can only get back into the hotel using the underground car park with can be a bit of a mystery tour. 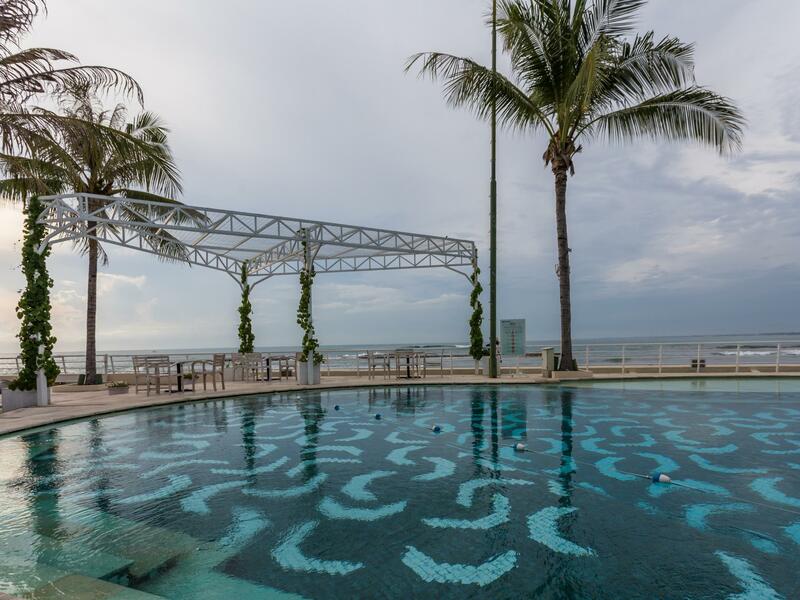 Only booked this hotel for a few hours because of a late night flight delay, located in the heart of Kuta above the Discovery Mall. Opens out to the beach and some cool bars. Big rooms, clean and everything you need. Didn't stay overnight so cant comment on the quality of sleep but bed felt comfy enough. Overall a good experience and great for what we needed. Home36 is a great hotel and located in a convenient area, near shopping mall,food court and beach!! The staffs there are very friendly. The room is quite big that enough for 2 adults and 2 kids, and also really comfortable!! I spent three nights again in the home@36. The Location is top, also by the discovery shoppingmall, two km away from Airport and by the sea. I would recommend it for a couple of days, as the Standard roum is smal, two Little Windows, just ask for the seaside. Coffee facility and all others in the bathroom, with nice shower, not cabin this time. Really friendly staff and value for Money. I'll choose it again, before Im leaving Bali. Great pool by the sea, just walk a few steps to it. Great view, near beach, hotel staff were nice and helpful, room was clean and comfortable. But they said they have a swimming pool, actually not! Swimming pool on agoda's pic was segarra cafe. They said I can swim there but when i come to segarra cafe, they not allow me to swim. I was surprised. I loved my tidy room with coffee and all other facilities. Very quiete room. Breakfastbuffet very nice, helpful staff. Wifi at the lobby. Great location. Using the huge pool next door by the sea. Amazing view. Discovery shoppingmall next door. Jogging/walking path in front. Ill come again, even small window and a cabin shower. A lot of activities at the weekend outside, like movie or liveband. I definitively come again, even a small room, but cosy and practical with shelves for clothes.